YEAH! It's time again to celebrate this years Amsterdam Dance Event (ADE) - the world's leading electronic music conference and the biggest club festival for the many electronic sub-genres on the planet - will celebrate its 20th birthday. Pulsive Media is bringing you the ultimate collection of brand new releases of electronic dance music. 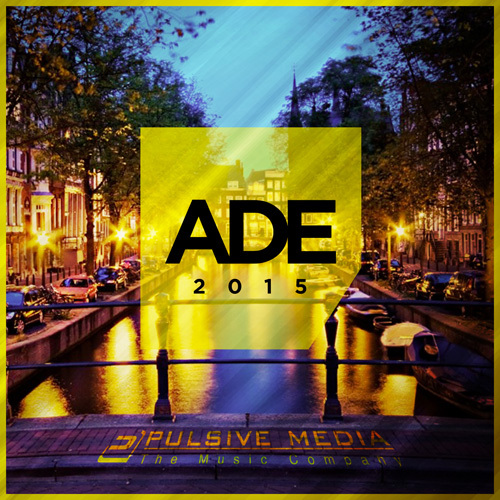 On this official ADE 2015 compilation you can find upcoming tracks & mixes from Guru Project, Sean Finn, Pink Panda, Mad Kingz, Monoloop, CJ Stone, Lauren Mayhew, Miami Rockers, BK Duke, Danny Cotrell, Jommes Tatze, Higheffect, Patrick Hofmann, Manuel Baccano, Dancefloor Kingz, Marc Radix, Chris Montana, Two Pack, Max K., Tommy Mc and many more.. so fasten your seat belts and get ready for ADE 2015! !